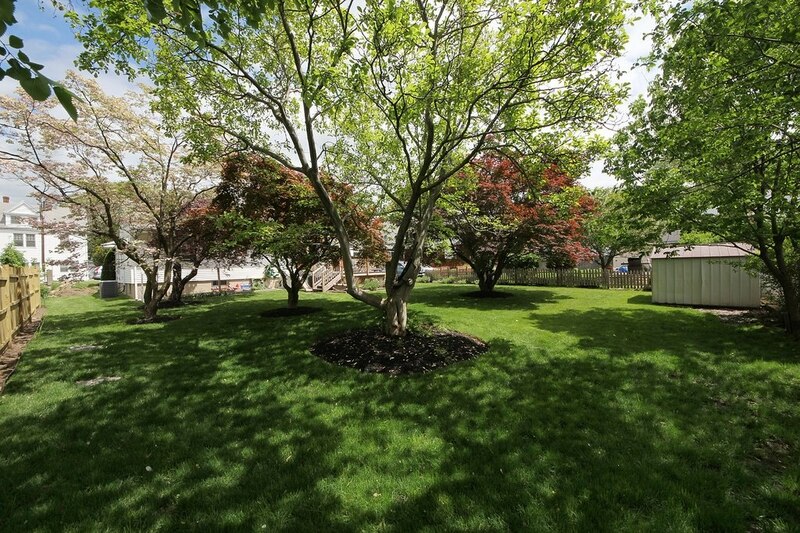 14 Church St. Millburn, NJ 07041 -sold! The Sue Adler Team sold this Millburn ranch with intown location with multiple offers after the first weekend on the market! If you’re looking to buy or sell a home in Millburn, call the number above. We have our pulse on this market and we won’t waste your time. 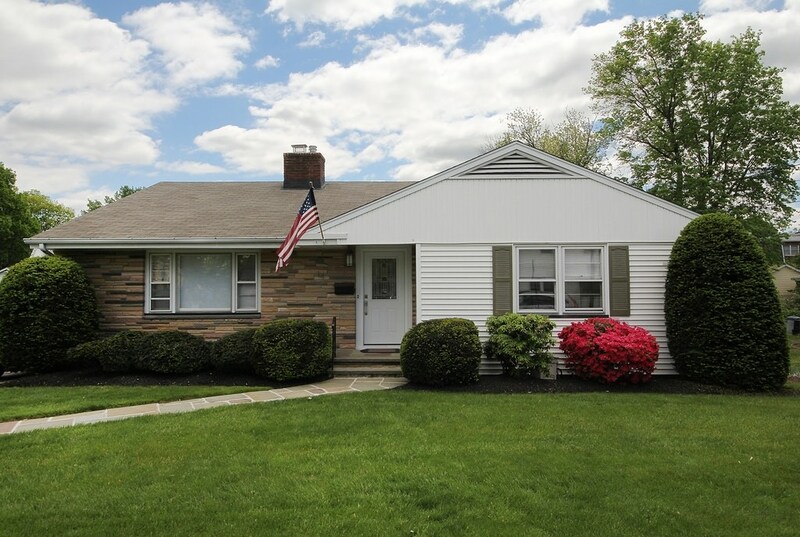 This delightful Millburn ranch with an in-town location, offers the convenience of one-floor living along with the potential for expansion. 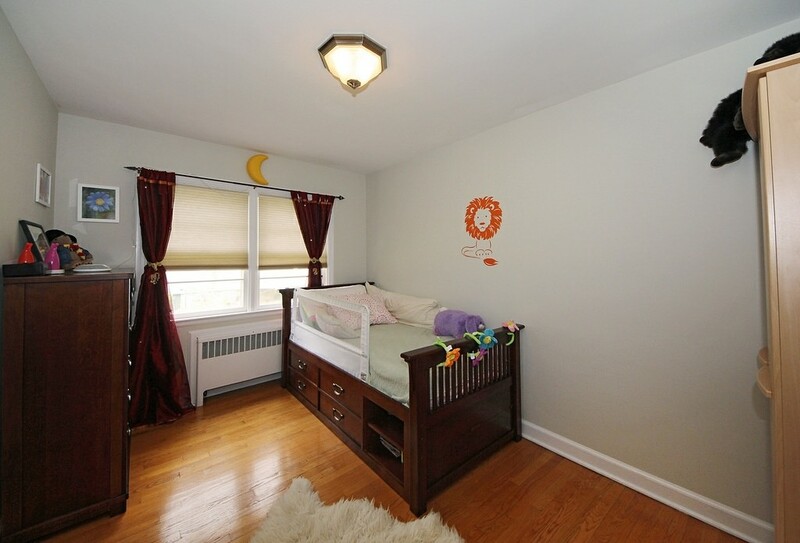 Situated on nearly a quarter of an acre of level, nicely landscaped property, this home is perfectly positioned within blocks of downtown shopping, recreation, top schools and NYC commuter trains. 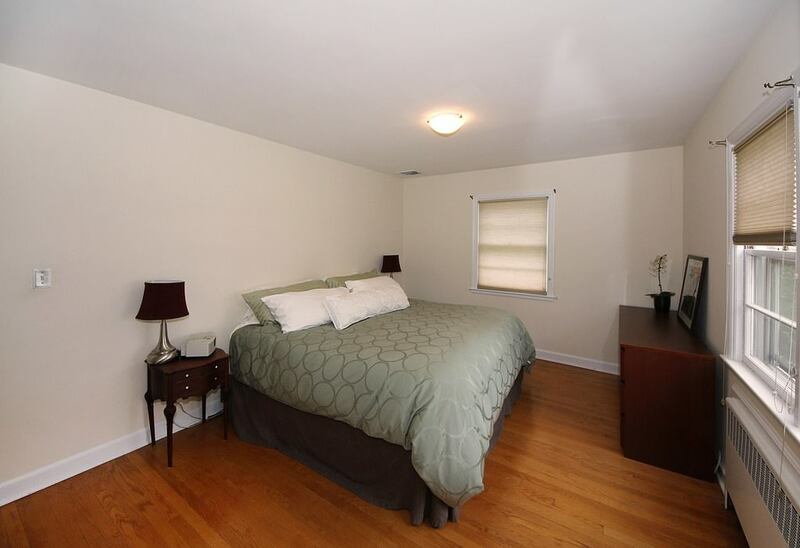 Spacious rooms enjoy an easy flow, as rich hardwood floors continue from one inviting area to the next. The living room is awash in sunlight, courtesy of a front picture window. The wood-burning fireplace adds a warm glow, and is wired for a flatscreen TV above the mantel. 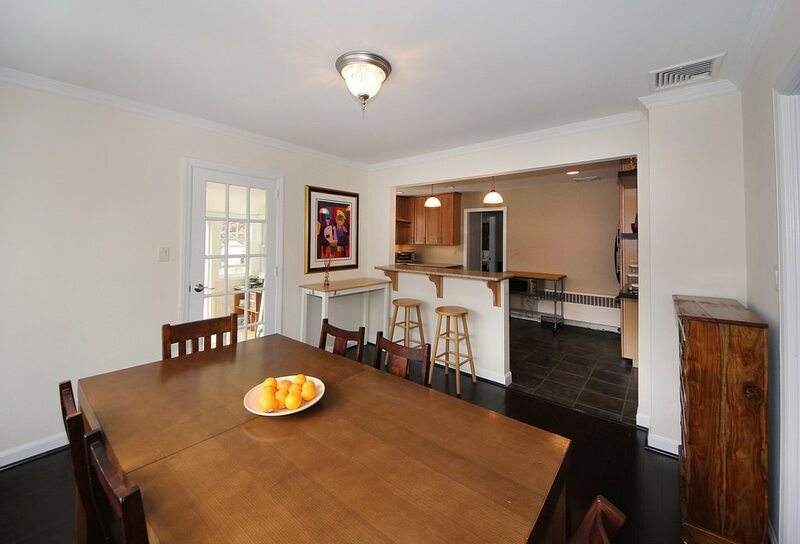 Adjacent to the living room is the formal dining room, where open access to the kitchen increases the sense of space and a French door leads to the den. Made for all seasons and every occasion, the den is a wonderful spot for play, relaxation and entertaining. 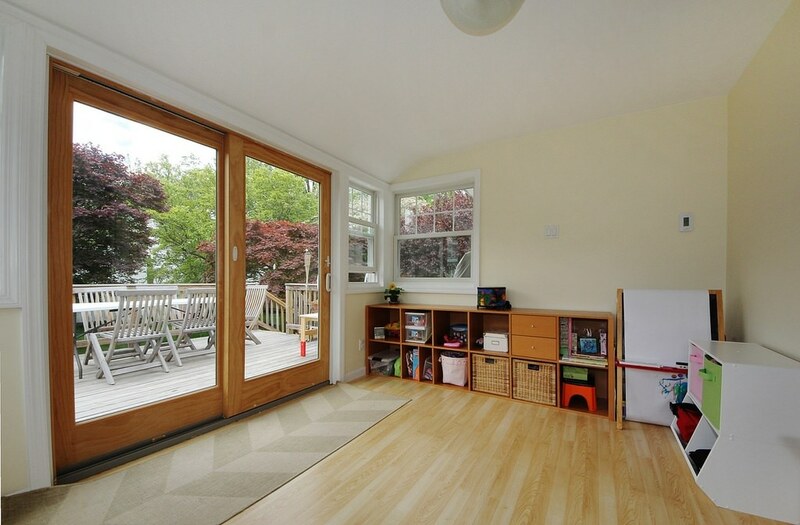 In addition to a Pergo floor, sliders open to the deck and private backyard. 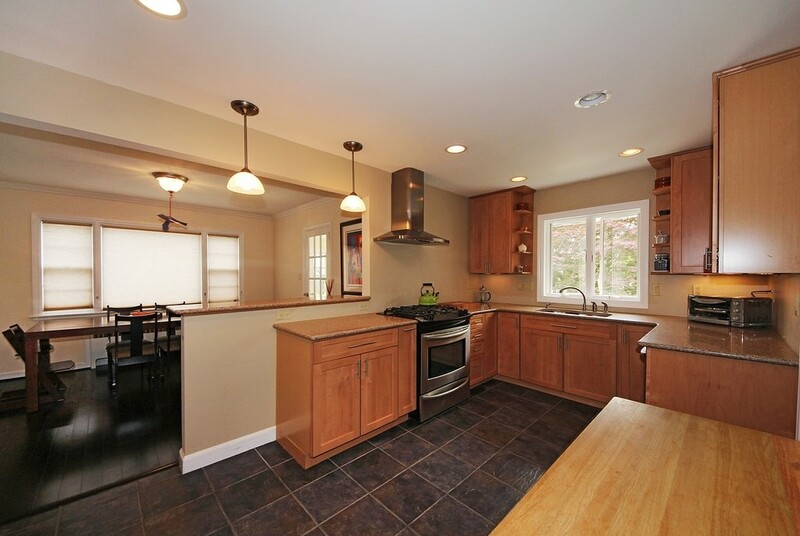 Anyone who loves to cook will be thrilled by this updated kitchen. Maple cabinets reach to the ceiling supplying plenty of storage, while granite counters, illuminated by under-cabinet lighting, provide loads of workspace. Quality appliances are arranged for easy access, and the breakfast bar sits beneath pendant lighting. Secluded off the main living areas are thee bedrooms and a full bath. 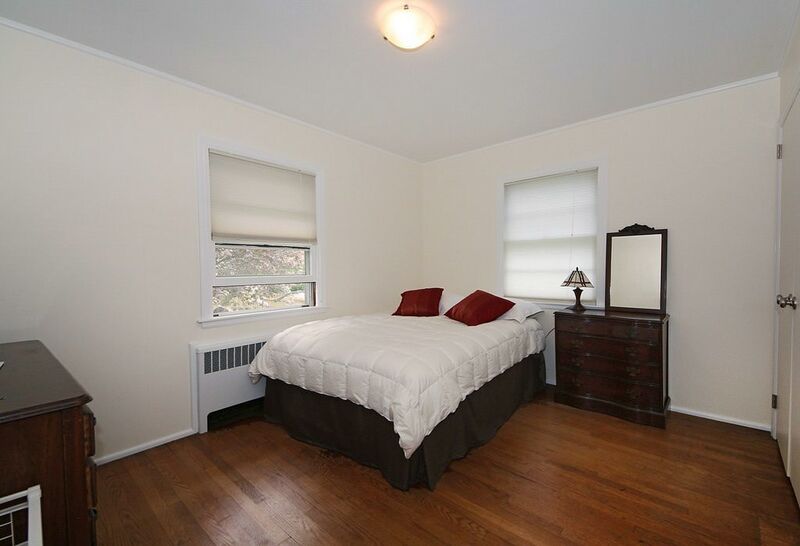 Each and every bedroom includes exposed hardwood floors, ample closet storage and pleasant views of the surroundings. The hall bath comes equipped with all you need to get through the morning rush. 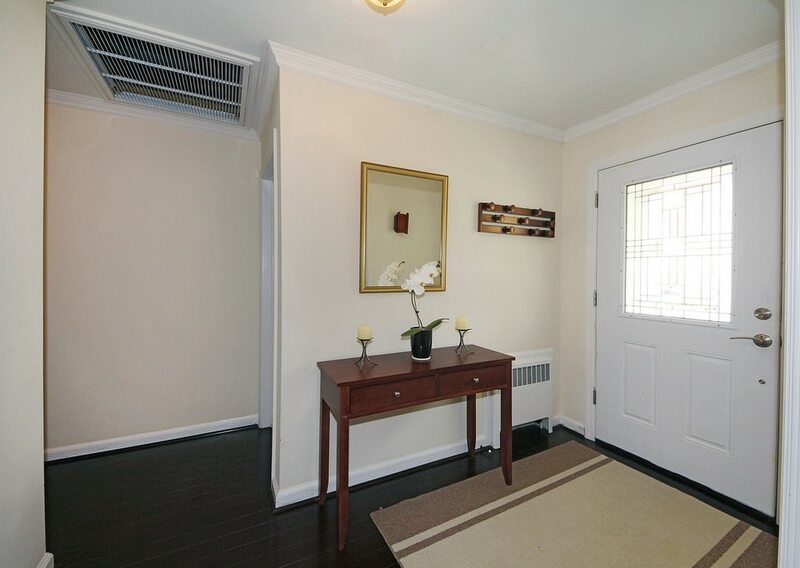 From the hallway, stairs take you down to the lower level, where the recreation room and the powder room are located. The recreation room is comfortably finished with a Pergo floor and recessed lights. 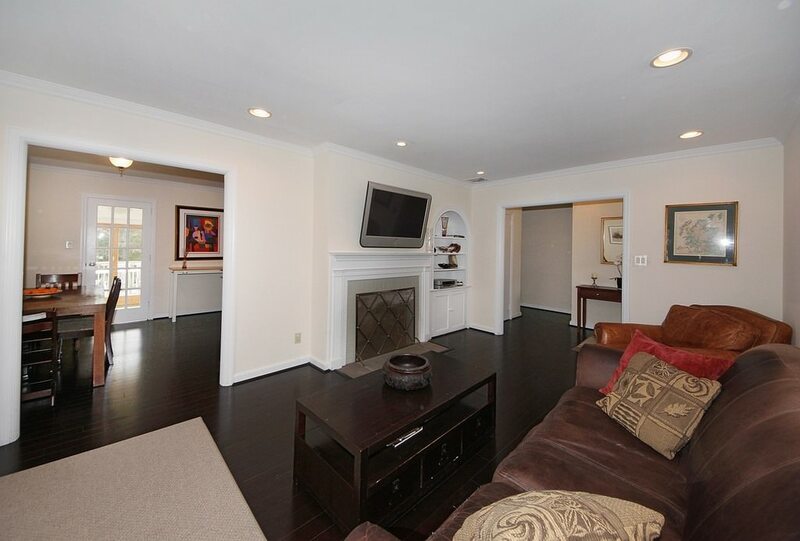 There’s plenty of room for games, toys and casual entertaining. 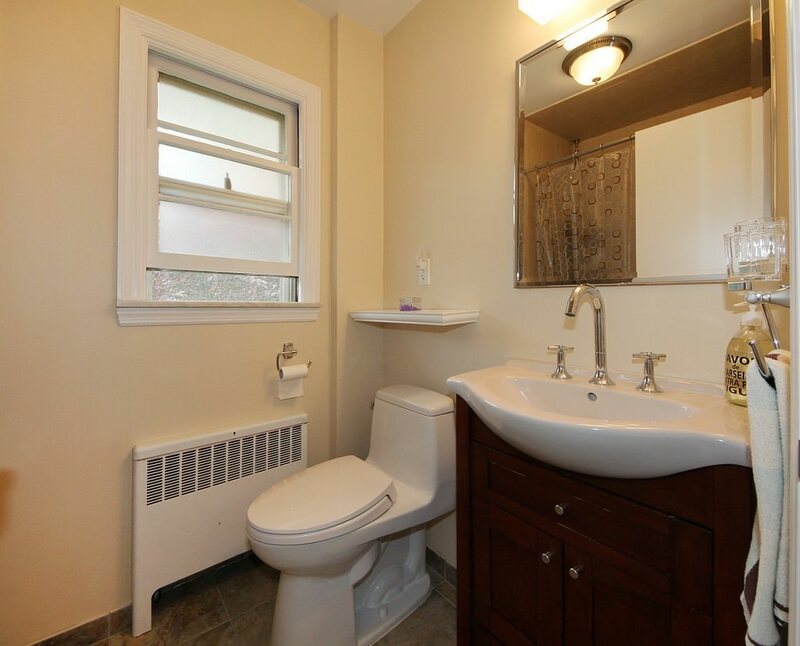 The powder room also includes a Pergo floor and has a vanity with sink and recessed lights. 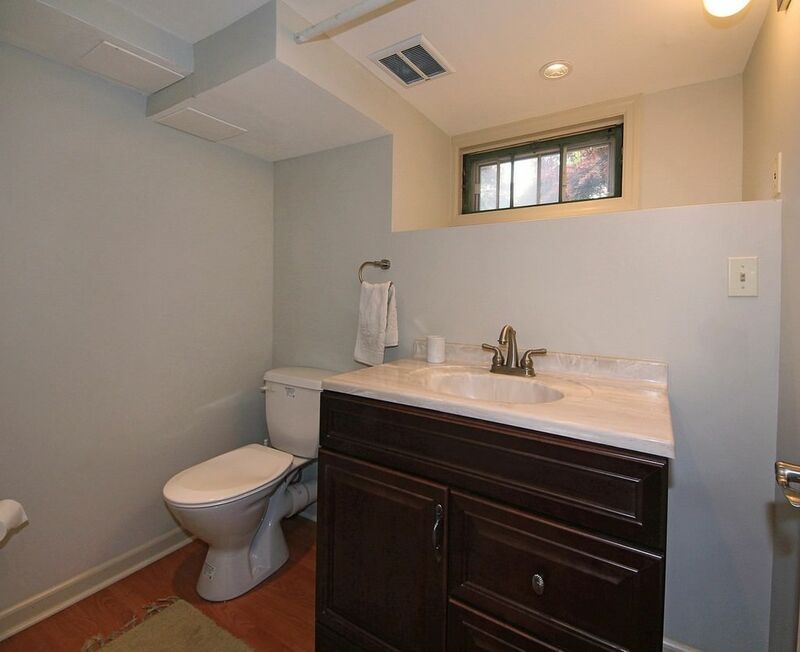 This lower level is complete with a large storage area with access to utilities, a full size laundry room and walk-out access to the backyard. Outside, the backyard is just lovely. 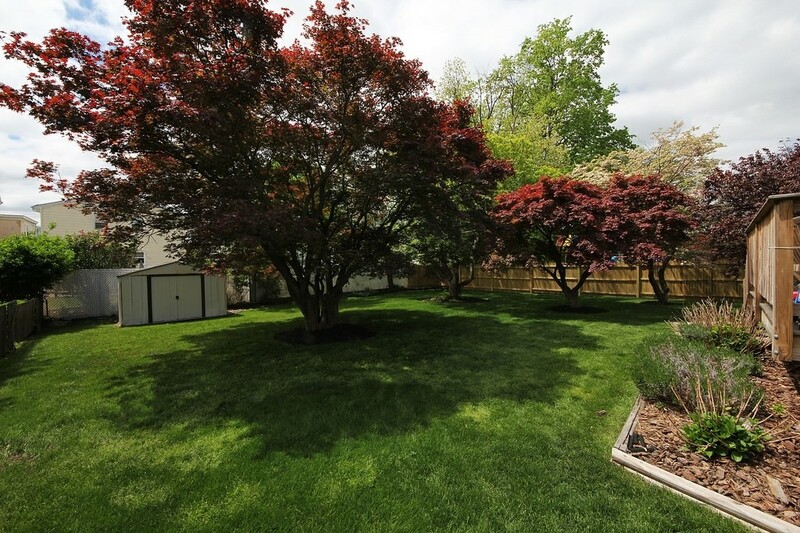 Open grassy space is shaded by ornamental trees, while the storage shed keeps equipment and lawn furniture tucked away until needed. 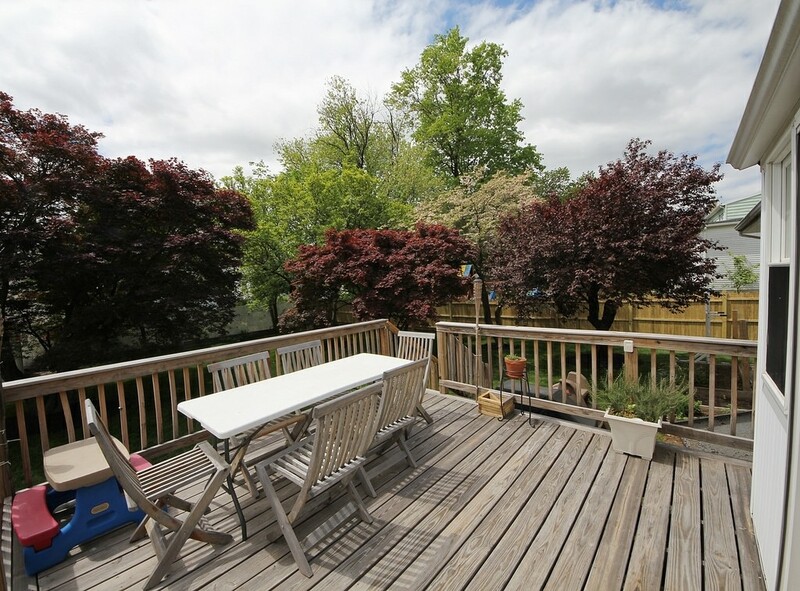 The deck is large enough for your picnic table and chairs, furnishing the ideal venue for warm weather celebrations.